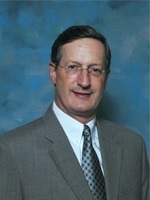 Gary Miller is a graduate of the University of Texas in Austin with a BBA in Accounting, and achieved his CPA in 1976. He has worked with the public accounting firm of Touche Ross in Dallas, and in various financial positions with National Gypsum Company and Mostek Corporation. Gary was also an executive recruiter with Fortune Personnel Consultants in San Antonio prior to joining the Connecticut Mutual Life Insurance Company in 1986 (now Massachusetts Mutual Life Insurance Company [MassMutual]). Subsequently he achieved the prestigious Chartered Life Underwriter and Chartered Financial Consultant designations in 1993, and the Certified in Long Term Care designations in 2003. Gary Miller has qualified for MassMutual's top sales conferences (Leaders, Blue Chip, and Top of the Council) over twenty times. He has also received numerous agency and industry awards. Gary is currently an Investment Advisor representative of MML Investors Services, LLC. *Not practicing on behalf of MassMutual or MML Investors Services, LLC. Gary Miller is a registered representative of and offers securities, investment advisory, and financial planning services through MML Investors Services, LLC., Member SIPC . Supervisory office: One Reunion Square, Suite 300, 10101 Reunion Place, San Antonio, TX 78216-4157, 210-342-4141. Miller & Tsakopulos Financial Partners is not a subsidiary or affiliate of MML Investors Services, LLC or its affiliated companies. Insurance offered through Massachusetts Mutual Life Insurance Company and other fine companies.